A decommissioning expert has said there are clear signs that “brand decom” is emerging as work spreads the length of the UK east coast. Platforms are being dismantled at yards in Great Yarmouth, Teesside and Lerwick, but less visible work is also on-going. Roger Esson, newly-appointed decommissioning solution centre manager at the Oil and Gas Technology Centre, said: “There’s more activity than people see. It’s easy to see big structures onshore, but offshore work is often invisible. “Scrap isn’t always classified as decommissioning work, but it should be. We’re getting wiser to it. There’s activity going on that we’ve not been tracking. 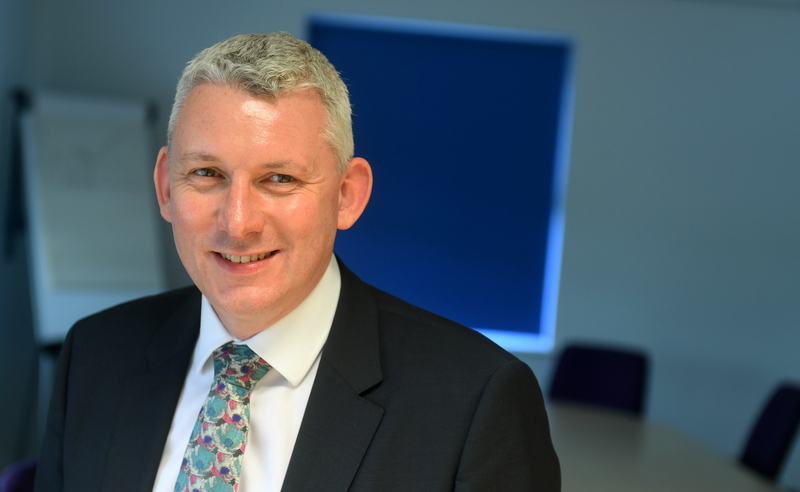 Mr Esson, who left his role as chief executive of membership organisation Decom North Sea (DNS) earlier this month, said it helped that more companies are willing to talk about what they’re doing. The organisation Mr Esson has just left, DNS, is also putting together a “matrix” containing information about companies’ capabilities, which it hopes to complete over the next 12 months. Another sign that decommissioning is growing as in industry is the interest being generated in financial centres. Mr Esson said investors had “money available” and a “definite interest in providing solutions” to the decommissioning sector. “From the talks I’ve had, the finance community is now seriously looking at the products they can provide to facilitate asset transfers and prepare for decommissioning,” he said. Mr Esson is adamant that there should be no headlong rush to decommissioning, and few companies would disagree. There are not many supply chain companies who focus purely on decommissioning. Rather, it makes up just part of their business. He also believes there needs to be a “one North Sea” approach to decommissioning. Mr Esson said: “If we’re going to cost effectively manage the life of the entire basin we need to look across the invisible lines of the North Sea and look at all the capabilities we’ve got. “UK and Norwegian sectors of North Sea will be similar in terms of structures and wells. Competition exists not only between the UK, Norway, Denmark and the Netherlands, it is also found between England and Scotland. The UK and Scottish Governments have both said they want to build an ultra-deep water port capable of challenging Norway, but there is no agreement on the location. Mr Esson said: “There is competition north and south of border. The Scottish Government is keen to make sure that funding lands in north. “But ultra-deep water quays are only part of the picture. Whoever gets it will still have to be competitive. You cannot assume work will come your way. “There are technological improvements we could make in the next five years if we want to capitalise on increased activity. Mr Esson also said that onshore decommissioning should not be portrayed as a massive job creator. The onshore work is only expected to make up 2-3% of total decommissioning costs in the UKCS. The vast majority of the expenditure will be directed offshore. Mr Esson said: “Typically a decommissioning yard employs about 40 to 50 people, so it is creating jobs, but not in huge numbers. Mr Esson also gave his views on international decommissioning regulations set by the Ospar Convention. Under Ospar, companies must leave behind a clean seabed when decommissioning offshore infrastructure. But the likes of Shell have applied for permission to leave certain structures behind, such as the huge concrete legs from the Brent field. Under certain circumstances, for example, when a company can prove that removing a structure would do more environmental harm than good, officials can make an exception. But generally, a clean seabed is the goal. Mr Esson said: “Ospar is designed to get tighter, not looser, but there is growing evidence that leaving things in place is the right thing to do. “But operators want to remove liability, so if removing jackets is only 10% of the cost, companies would rather do that. “Operators need to talk to the UK Government early. We have seen them approve plans for leaving pipelines in place, but do not assume you know what they will and won’t approve.